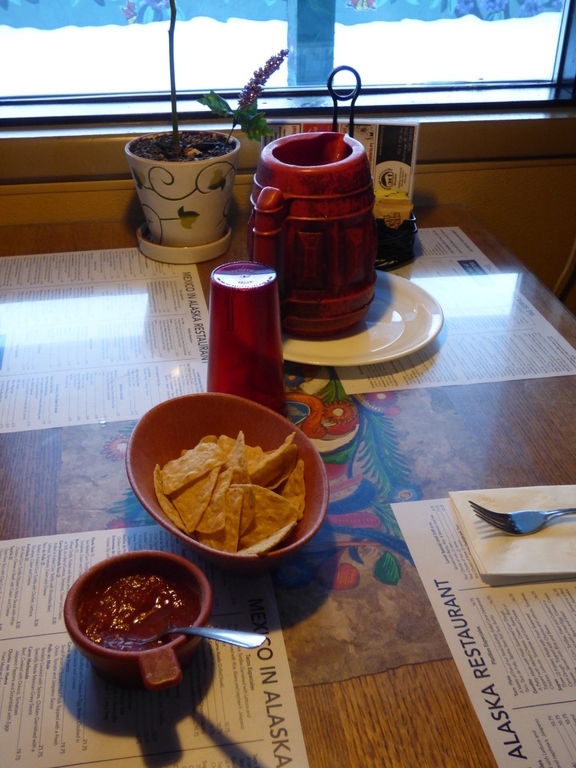 our delicious mild and hot salsa, mole sauce, flour tortillas, burritos, and tamales! Welcome to Mexico in Alaska! 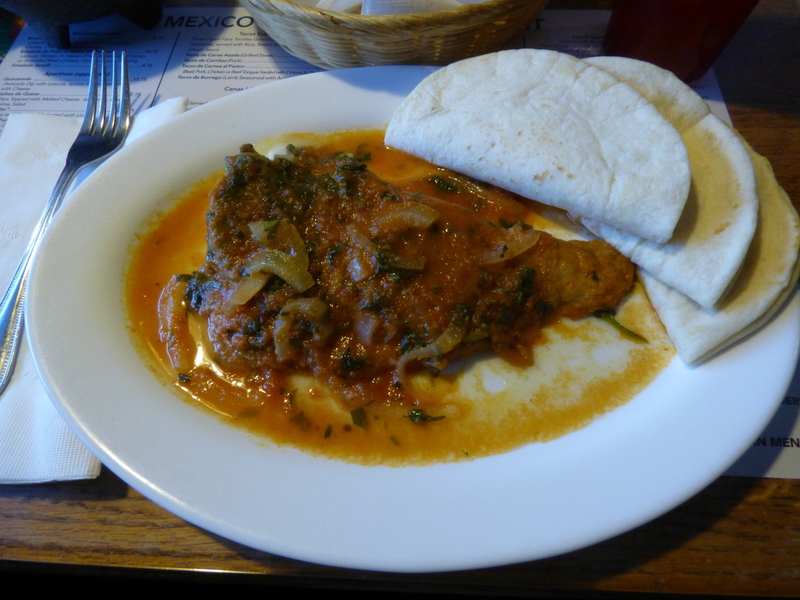 Mexico in Alaska has been serving Alaska since 1972. We make homemade style, traditional Mexican food. You can dine in or call ahead (349-1528) and make an order for take-out. 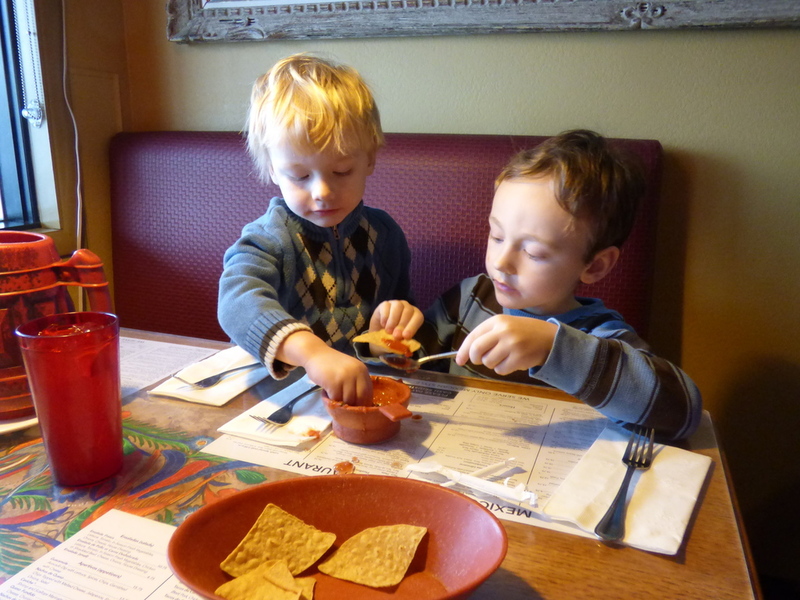 Our family friendly restaurant is located at 7305 Old Seward Highway. Come and enjoy a few of our popular entrees, such as Tacos de Carnes al Pastor, Chile Rellenos, Pollo en Mole and our Carne Asada Tacos with our homemade salsa verde. We also serve a full vegetarian menu. We invite you to come enjoy our excellent food and casual dining experience - we take pride in the fact you can feel comfortable and relaxed while really experiencing Mexico in Alaska. Our products are featured at grocers around Anchorage. All three flavors of burritos and salsas can be found at New Sagaya and Carrs / Safeway. Our delicious wheat-flour tortillas are cast-iron cooked from a recipe given to Maria-Elena by her grandmother (Mama Maria) and can be found in Anchorage at New Sagaya's, Green Apple, and the Natural Pantry, and out in the Mat-Su Valley (Palmer and Wasilla) at Three Bears Market. You can also find our salsas, tortillas and burritos, as well as our mole sauce and tamales, packed and ready in our restaurant's take-out case. 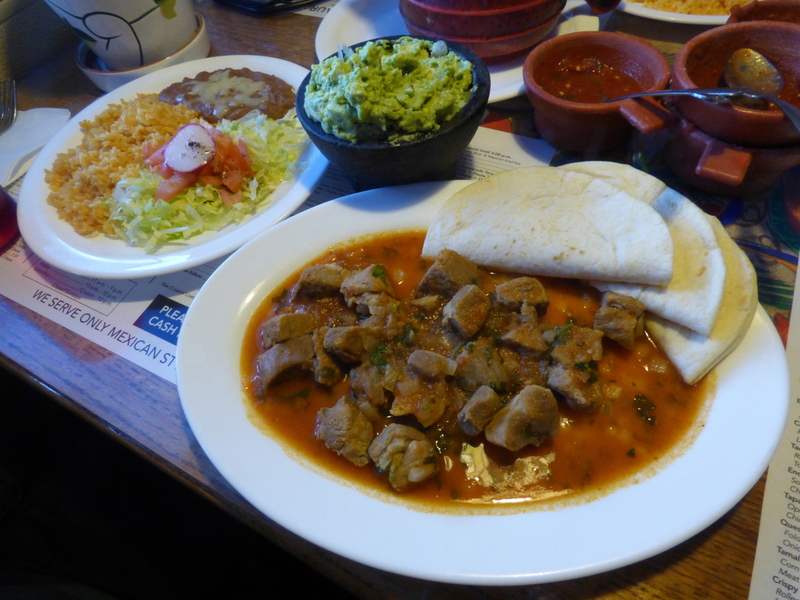 We serve only authentic Mexican style. You can find information about us in Herbert Wolff's book The Very Best: Mexican Restaurants and Where to Find Them, which can be found at Amazon.com. You can also find us in Frommer's Dollarwise Guide to Alaska. Mexico in Alaska Restaurant is recognized as "one of the Nation's 50 best Hispanic Restaurants," as featured in Hispanic Magazine.